When I was younger I had braids and when I played local tennis kids would always ask me of I was Serena Williams, my tennis game should have been enough proof that I was not, lol! I have always been a fan of hers and continue to follow her career. 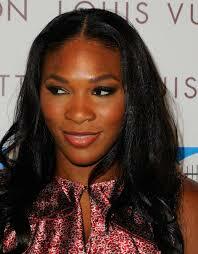 She is currently ranked Number 1 in women’s tennis, what an accomplishment. In addition according to Wikipedia these are her accomplishments thus for the year 2010: TIME Magazine The World’s 100 Most Influential People , Laureus World Sportswoman of the Year,Forbes The Celebrity 100 (No.61) ,BET’s Best Female Athlete of the Year ,ESPY Award Best Female Tennis Player ,Harris Poll Most Favorite Female Sports Star ,Teen Choice Awards – Female Athlete Award . In addition she is part owner of the Miami Dolphins, author, philanthropist, fashion designer and entertainment personality. Ludacris (Chris Bridges) is celebrating a birthday 2day! 9/11. Love the 2 sides of him rapper/business man. That’s a good look Uncle Luda!